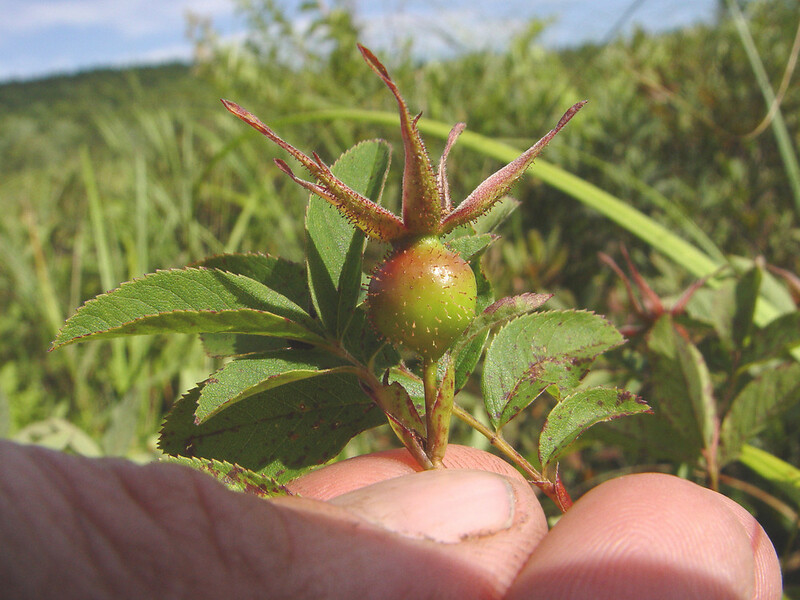 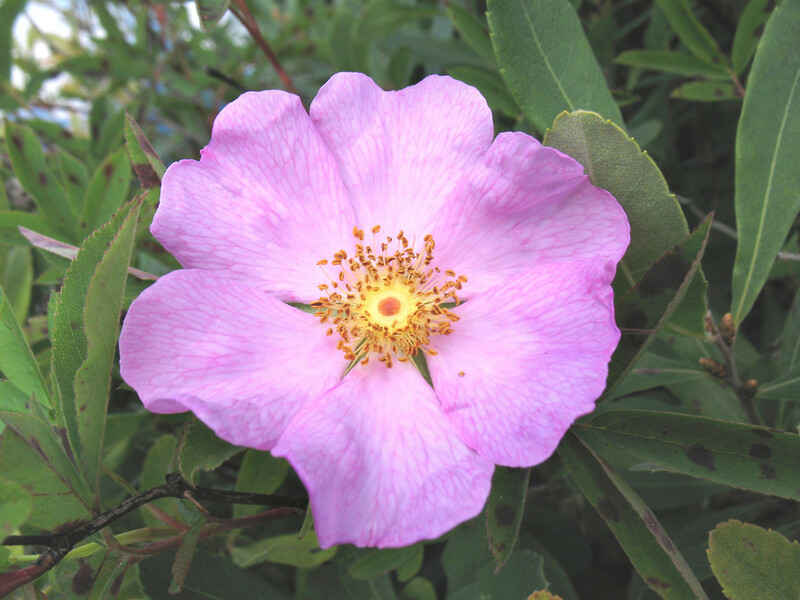 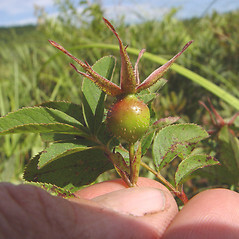 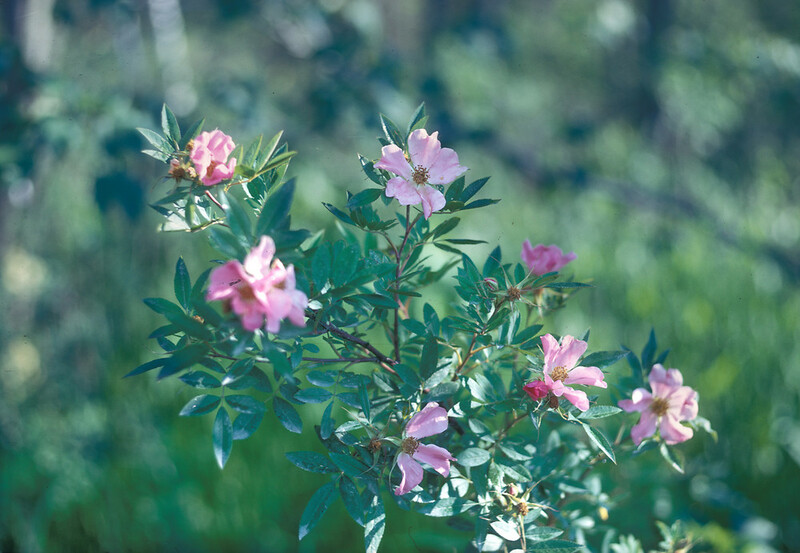 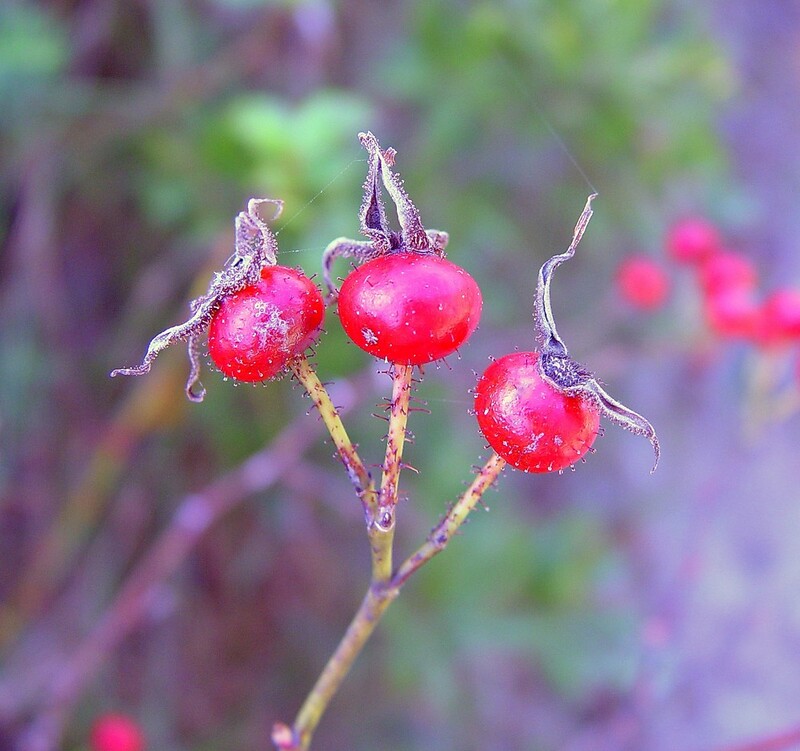 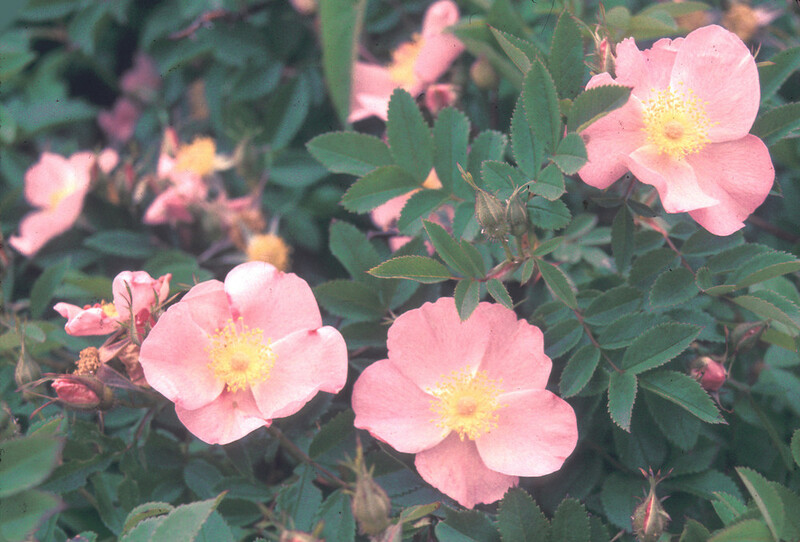 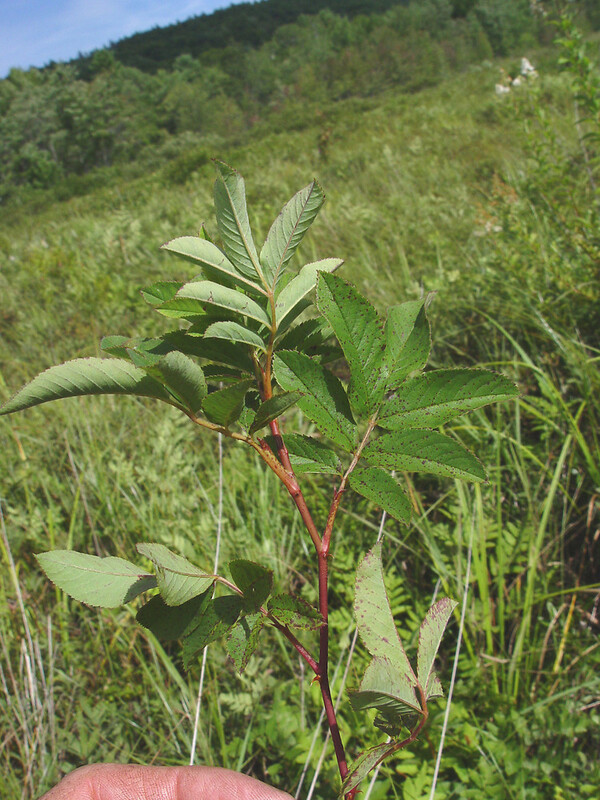 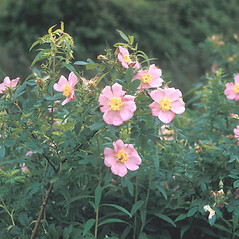 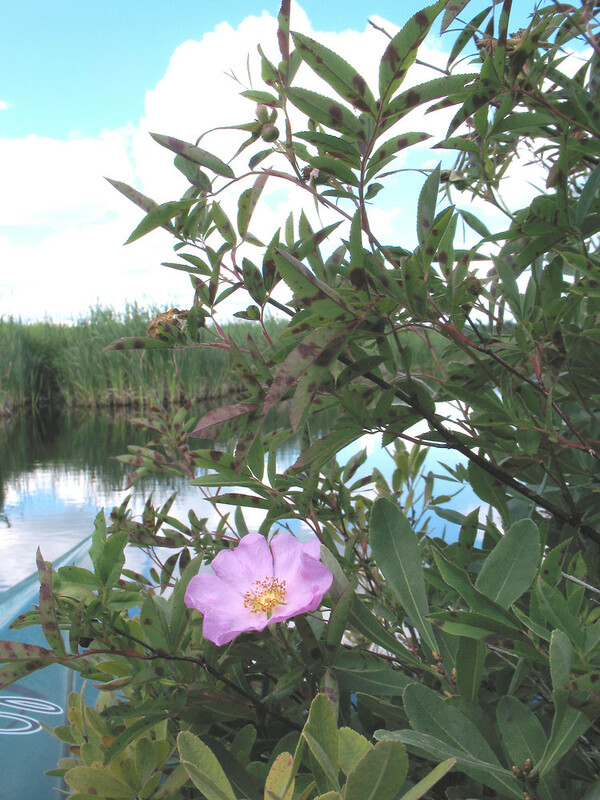 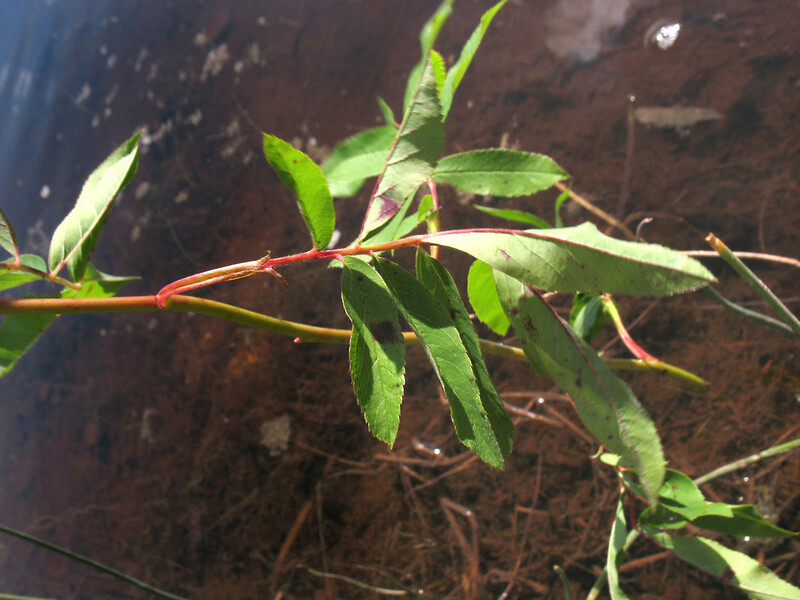 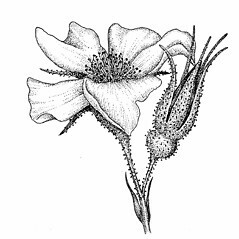 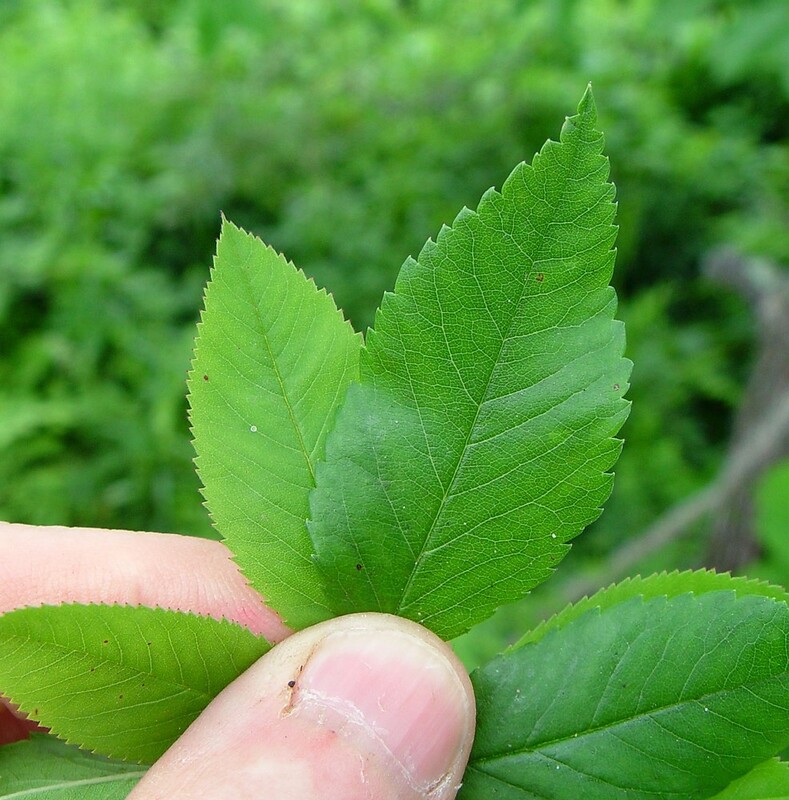 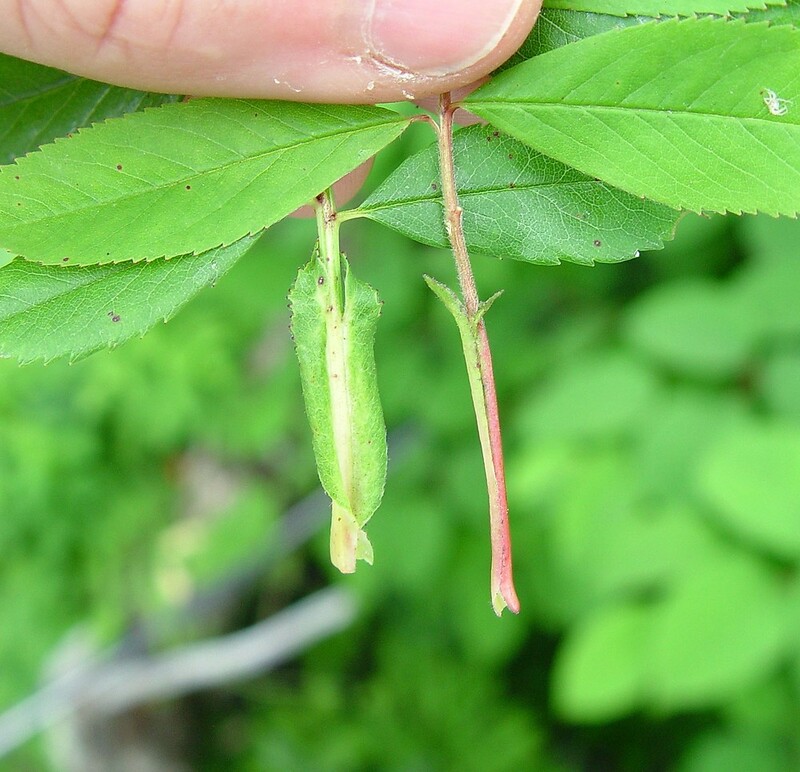 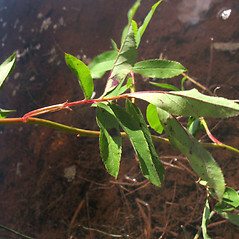 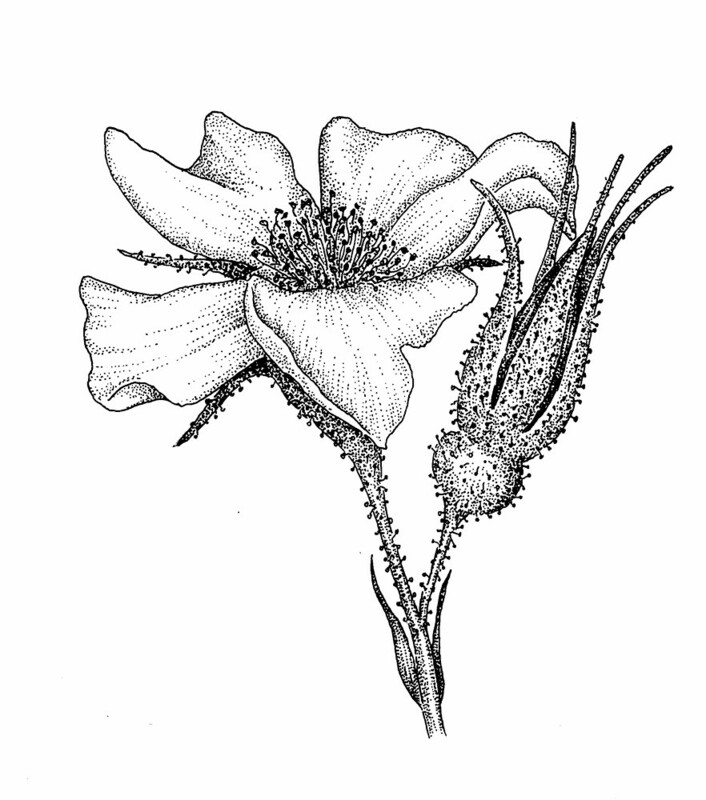 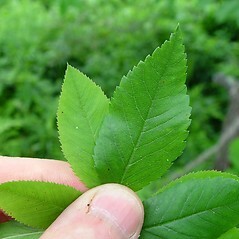 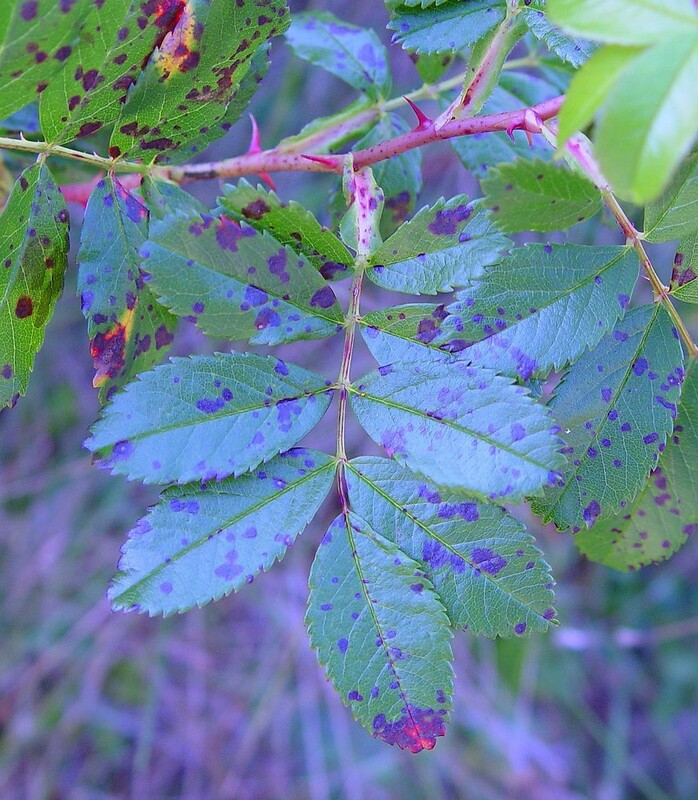 Look for swamp rose in acidic wetlands and streamsides. 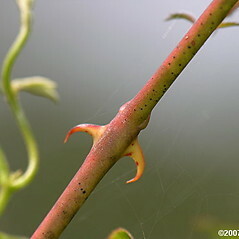 It is distinguished by the pairs of stout, downwardly curving spines that grace each node of the stem. 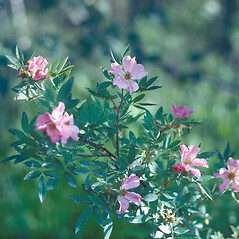 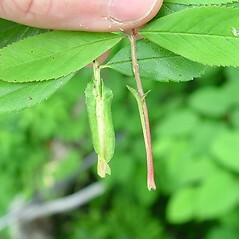 It produces 1-2 delicate pink flowers on each inflorescence. 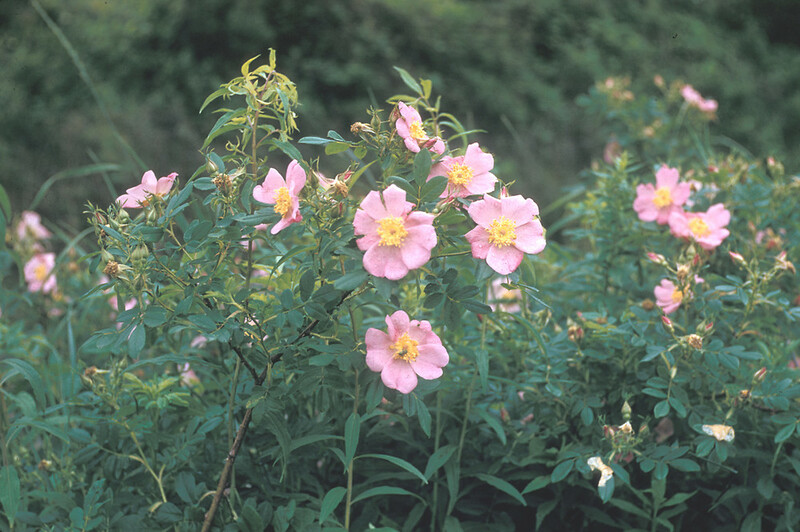 Producing fragrant, showy flowers in June and July, ornamental varieties of this rose are popular for planting in wet areas of the garden. 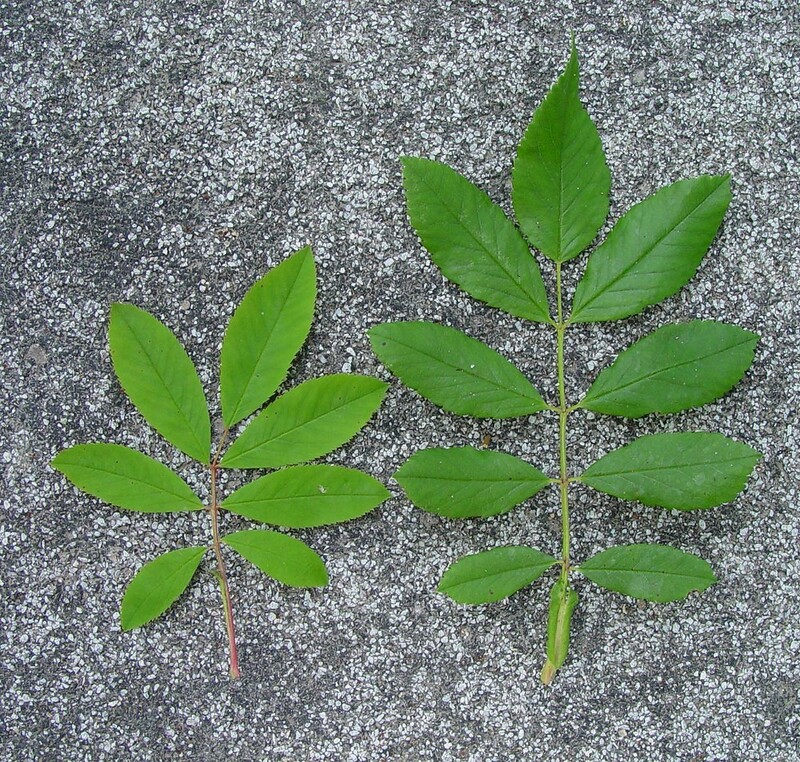 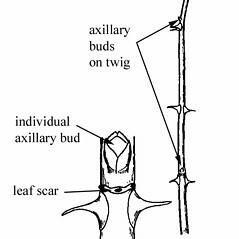 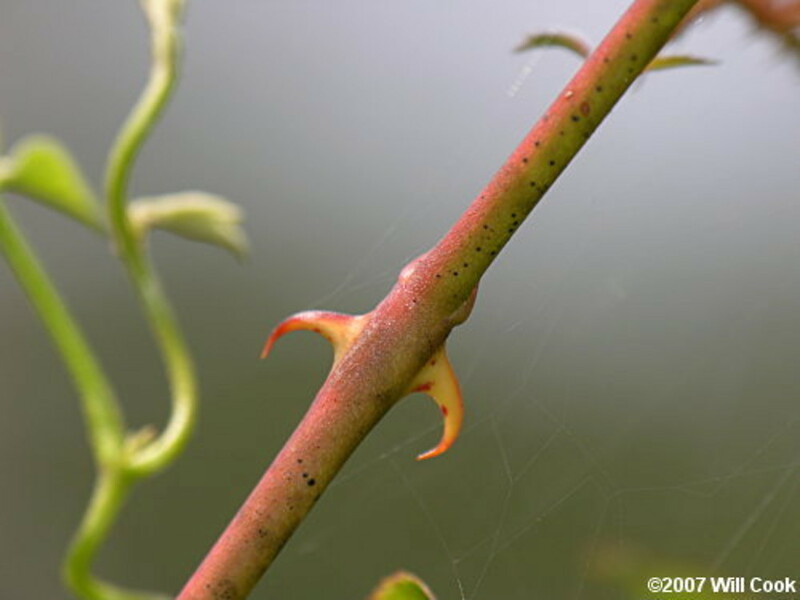 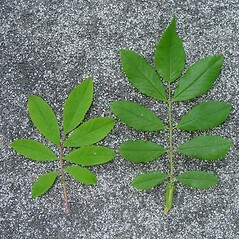 stems with numerous internodal prickles that are slender, small-based, and straight, similar to the prickles found at the nodes, leaflets lustrous on the adaxial surface, the terminal one with mostly 14–20 teeth per margin, and connate portion of the stipules without parallel margins, widened distally (vs. R. palustris, with stems with a pair of stout, broad-based, often curved prickles at most of the nodes, these prickles much larger than the few, slender ones of the internodes, leaflets dull or scarcely lustrous adaxially, the terminal one with mostly 21–25 teeth per margin, and connate portion of the stipules with +/- parallel margins, scarcely widened distally). 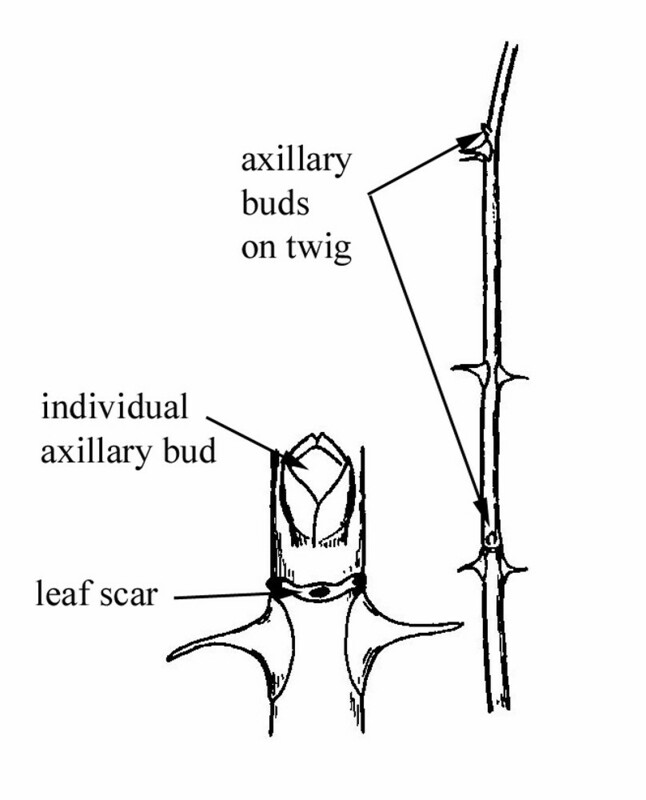 leaflets with relatively coarse teeth, each tooth mostly 0.7-0.9 mm tall, and fused portion of the stipules without parallel margins, widening toward the apex (vs. R. palustris, with leaflets with relatively fine teeth, each tooth mostly 0.4-0.7 mm tall, and fused portion of the stipules with nearly parallel margins, not conspicuously widened toward the apex). 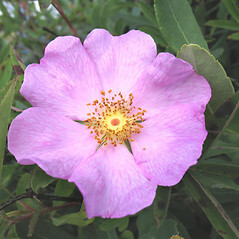 swamp rose. 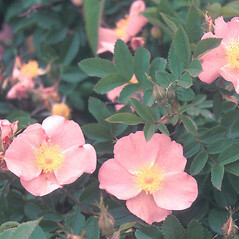 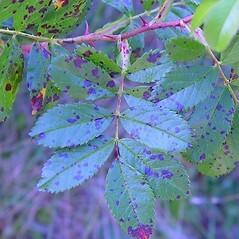 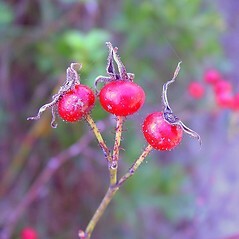 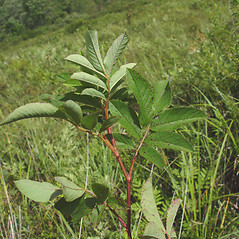 Rosa floridana Rydb. 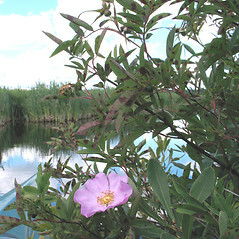 • CT, MA, ME, NH, RI, VT. Swamps, marshes, low meadows, pond shores.